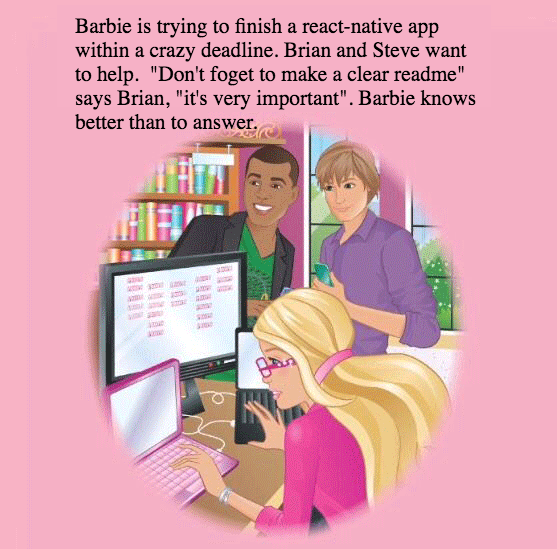 Barbie is trying to finish a react-native app within a crazy deadline. Brian and Steve want to help. "Don't foget to make a clear readme" says Brian, "it's very important". Barbie knows better than to answer.